A simple key press on the Fuel Island Genus terminal is all it takes to log and display vehicle identification, mileage, fuel utilization, vehicle damage and lost-and-found items. These fleet terminals also feature a rugged and durable enclosure that provides protection from dirt, rain, sleet, snow and ice. 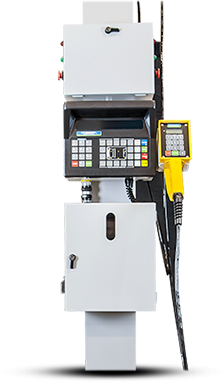 The terminal maintains its well-lit, readable display in a myriad of harsh environments, and the display’s cost-effective, dual-user design allows service attendants at each end of the fuel island to efficiently share the same terminal. 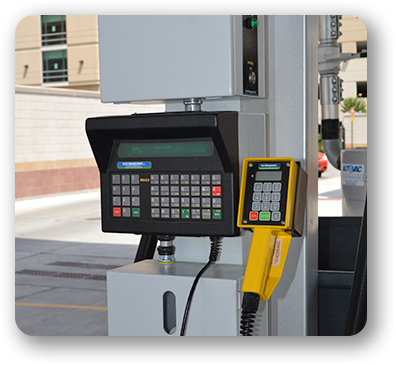 The Fuel Island Terminal is mounted near a fuel dispenser to track and control fuel dispensing by applying rules for authorization to use. The rules require a valid user and valid vehicle before the terminal authorizes fuel to be dispensed. The terminal also provides screens and reports to show details about fuel events that include the specific vehicle, person, location, time, and amount of fuel dispensed. This information can be used for customer billing when there are no prepaid terms on the vehicle. There is also a productivity module in this system that tracks the number of vehicles serviced. The system tracks the service attendant for each vehicle, which may be used in an audit when vehicles are found to be serviced at less-than-approved standards. This information, together with user-defined settings for thresholds and rules to qualify for incentive benefits, will produce a value for incentive pay. 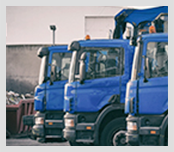 The terminal can be used for additional purposes including notification of required preventative maintenance, placing a hold based on input from a previous user, and lost-and-found item processing for rental fleets. 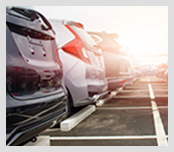 The terminal printer will produce a printed ticket that goes with the items, then the system tracks data that can be used to identify the vehicle and time to find a matching rental agreement for customer recovery of items. The terminal has an outline of the top view of the vehicle where terminal keys can be used to mark points of damage on vehicle. The data is stored in the software to help identify when and where damage is found. The Fuel Island Genus supports a wide range of input and output devices, allowing the solution to be custom-tailored to accurately and reliably suit the specific demands of your fuel island. The terminal is also Java programmable, which allows for additional custom functionality. Your internal developers can do the programming, or you can leverage Fleet Management’s decades of technical expertise to add this functionality to your terminal. Either way, you can rest assured that your solution will always be fully supported by the experts at Fleet Management. Track and control vehicles, service agent productivity, vehicle maintenance requirements, fuel dispensed, and dispenser operation. The system also identifies, tracks and authorizes the operator by use of either a badge or keyboard PIN.